Addressable memory is memory the processor can reach. To be reachable the processor needs to be able to load a memory address into a data register. The address must fit. The processor data registers need to be wide enough to be able to reach every memory location in the surrounding space. For example if you have memory addresses that are 16 bits long and you have a processor data register that is only 8 bits wide you cannot enter a memory address in the register. This means the processor can only reach a memory address that is 8 bits wide on a single clock cycle. Addressable memory space means that the processor can load the entire memory address in a data register to reach that address (read from it or write to it) in a single cycle of the clock. Humans absorb reality into memory. As the memories of past moments get absorbed into memory it requires a lot of memory space to hold them all. For your time-space continuum to fit entirely within your memory it will take a lot of memory space. The processor data registers need to be wide in bits to be able to reach all this memory. The calculation of addressable memory shows it is entirely possible because addressable memory doubles with each additional address line. 1. Awareness represents the width of the processor data registers in bits. 2. Memory represents two to processor width in bits power. For example, if you assume the human mind is a 64 bit processor the surrounding directly addressable memory would be 2 to the 64th power. The question now is to find a processor size sufficient to do the required thinking and a surrounding memory sufficient to hold everything ever experienced. The two (awareness and memory) go hand-in-hand as expressed in the equation above. 4.5.2 Can 64-Bit Memory Store A Lifetime? The equation above shows the size of memory available to a processor that has 64 bit memory and is 64 data lines wide. The number 18,446,744,073,709,551,616 is an LARGE number. However the amount of data lines required is just 64. The physical size of the brain is large enough to accommodate a 64-bit processor with all addressable memory. If you began storing realities into a memory this size you would hold a lot of them before you ran out of memory. As you add data lines to the processor and memory the amount of addressable memory increases exponentially, eventually encompassing the universe. Life starts out like your computer out of the box. As life goes through time and space it absorbs reality into memory. Like a snowball rolling down a hill, life gathers information as it goes. All these realities are getting filing away in memory in the background without any conscious effort on our part. I want to take a look at the memory required to hold a lifetime of realities. On the left we have the ratio between the data word size and the memory it can address. The data word is 64 bits of data. It is a binary number 64 digits long. A data register 64 bits wide can hold any number of 2 to the 64th power. That is the size of addressable memory locations. Is 64-bit memory large enough to store our entire lifetime and everything we have ever experienced? Each location holds 64 bits (8 bytes) of data. Ten thousand locations holds 80,000 bytes – close to 100 megabytes. Assume our data input requirement to capture reality as it unfolds is 100 megabytes per second. Assuming there are 100,000 seconds in a day. It appears from these calculations that 64-bit memory is of sufficient size to store a lifetime. The calculations show we have a margin of error of over 100,000. If our required data capture rate was 100,000 times greater than imagined, we would still have enough memory to store a lifetime. 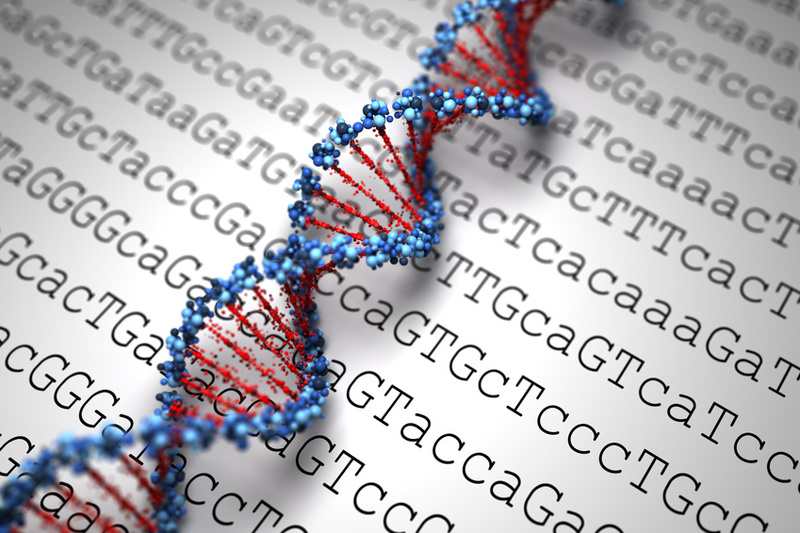 The conclusion is that 64-bit memory is sufficient to store life in its entirety. As we go through life we need to keep in mind that we are not just a processor. A processor is aware of one data word at a time. It is processing one instruction at a time. The processor is also surrounded by its addressable memory. We are not just a processor, thinking and spinning in a vacuum. We are a processor within a memory space. That memory space includes the present moment. It also includes the moments of the past. Our memory of our surroundings isn’t vague, foggy, or incomplete. Like a computer, our memory is crystal clear. It’s only our inability to access it at the moment that makes it appear that way. !. The left side of the equation shows a 64-bit computer. 2. The right side of the equation shows a human life. 3. The top values of the equation (numerator) shows what we are aware of during life. 4. The bottom values of the equation (denominator) shows what is in memory that we are not aware of. The left and right sides of the equation are equal. This means us now during life, our awareness, is like the data inside a 64-bit processor. It also means that afterlife, addressable memory surrounding the processor, is that awareness multiplied by 18,446,744,073,709,551,616. That represents the change in magnitude of awareness awaiting us at the last moment of life. What happens at the end of life when the power is turned off? The answering lies in focusing on the moment power gets turned off, not before or after. At that moment memory exists – in both a computer and a person. You do not have memory one moment after the power is turned off. However at the precise moment power drops memory exists. The same holds true for all living things. At the moment life ends, when the power is turned off, memory exist and is accessible. Admittedly the last moment of life only lasts for one moment in time. However memory, including time itself, has been captured and does exist. During life we absorbed moments into memory intact. On the last moment of our life all these moments still exist, all of them. Memory capturing moments during life has captured time. Memory has captured all time relative to you. This means that one last moment contains all time. Through death memory has enabled one moment in time to expand to become all time. Time has undergone dimensional change going from a single moment in time to all of time. Dimensional change in time is possible because memory drops no bits. When you look at your life in totality, as shown above, it can be thought of as a time-space continuum. It contains everything you have experienced from the beginning to the end of life. The leading edge of this time-space continuum is the present; reality. The present moment is memory. Experiencing reality is memory. This experience of reality extends backward through time. Do not let the fact that you cannot experience it now influence your judgment. All moments exist. All time exists. Thought is the movement of data over time. In afterlife time expands infinitely to become all time. Because we are now in the presence of all time, thought expands infinitely too. Afterlife is an explosion of awareness throughout time. Everything is there and we become all knowing throughout time. Computer memory is dependent upon circuits, wires, and electricity. Even so, the moment we pull the plug the computer still holds all its information in memory. The next moment that information is gone. Afterlife is the same way. For that one moment, at the end of life, we transcend the physical body. Thought expands instantly and completely in all directions throughout time and space. None of this is dependent upon the physical body. It did its job. The physical body delivered all accumulated information throughout a lifetime of experience to this point in time and space. Not one single bit of information was lost. Everything is here now with us including loved ones. 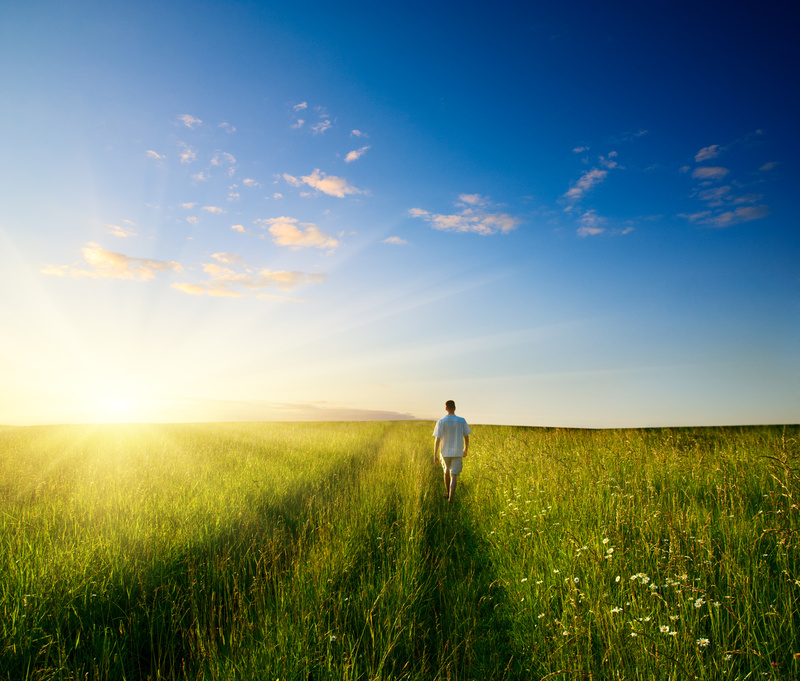 Afterlife is not contingent upon ongoing support from the physical body. We have an inclusive universe containing all of time and space with us. The single point in time and space goes through dimensional change to become its inverse: our universe of unlimited time and space. The one point within the universe expands to become the universe. Awareness expands instantly in all directions with bound. It expands out in all directions into the time and space surrounding it. That is everything. 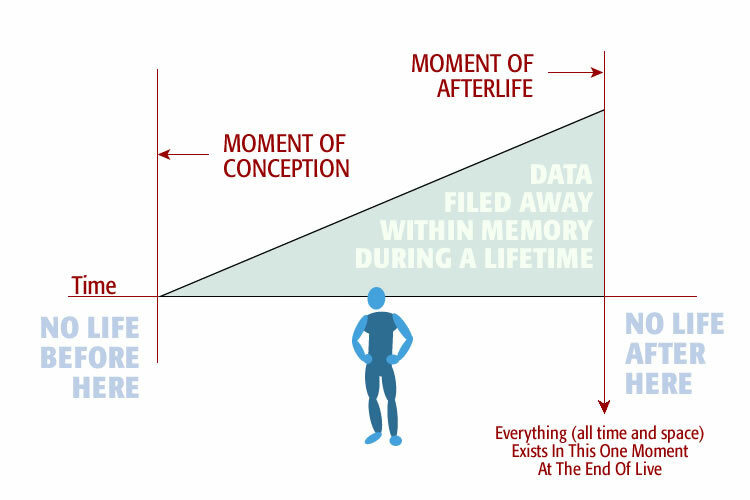 Afterlife is the simultaneous awareness of memory throughout all of time and space. This concludes proof of afterlife by information.